Well, it’s been nearly 3 weeks now since I started this paleo experiment. I have to say, I REALLY like this way of thinking! I’ve stopped thinking about being on a ‘diet’ and instead am thinking about good, fresh, real food. And it tastes yum! This approach seems to be working for me. I’m not finding it too restrictive, and can still eat familiar meals (with some tweaking). It’s also helping me branch out and try new recipes and foods I wouldn’t think of eating before. Well it’s now been over a week since I decided to try a paleo lifestyle change…and OMG it is amazing!!!! I have been trying to ‘get healthy’ for a while now, always a vague plan, no real idea of what I’m doing. I’d heard talk about paleo, and thought it sounded interesting, but maybe a bit too full on for me. But after the last few months, putting on weight, feeling crap (both physically and mentally) and really struggling with energy..I figured what have I got to lose?? So I looked into it (many hours on the computer) and do you know what..it really didn’t seem so hard after all. No tiny portions, no set meals, eat when I’m hungry. Sounds basic right?? The catch was cutting out sugar and grains. Well, I don’t eat much sugar anyway (I know, chocolate counts..but surely I can go without???!!!) Grains is the tricky one..or so I thought. Turns out it’s not so hard. I have been eating so well, and such a variety of different foods, that I haven’t even missed them. I slipped up 2 or 3 times in the first few days, but mostly I’m doing damn well. The great thing is how well I feel doing it. My energy levels have increased and stabilized. It’s easier to keep moving, I’m not getting tired so easily, and I can get out of bed in the morning. Mostly because I am sleeping so much better. I also find I’m not getting crazy hungry like I used to. You know the hunger I mean, where your tummy growls, you get so cranky and snappy, and just have to eat the closest thing? Not happening, not any more!! Honestly though, I think the best thing is the food!! Now anyone who knows me knows that I’m not much of a cook. There are so many other things I would rather be doing. But knowing how I want to eat, has motivated me to find good recipes. Try new things. No more meat-and-3-veg. I’ve been eating things like Bacon and egg muffins (http://paleomunch.com/paleo-diet-recipes/paleo-breakfast-muffins-make-for-a-quick-and-easy-breakfast/), or baked Avocado with egg for breakfast. Yummy salads for lunch (real ones, from a book, not just boring crap), and the best dinners EVER. The menu has seen meals like Lamb racks with a medley of roast veg, Hungarian savory mince (http://www.lavenderandlovage.com/2012/10/mid-week-meal-plan-52-diet-and-hungarian-savoury-minced-beef-recipe.html) Middle-eastern Lamb meatballs with Harrisa yogurt..the list just goes on. 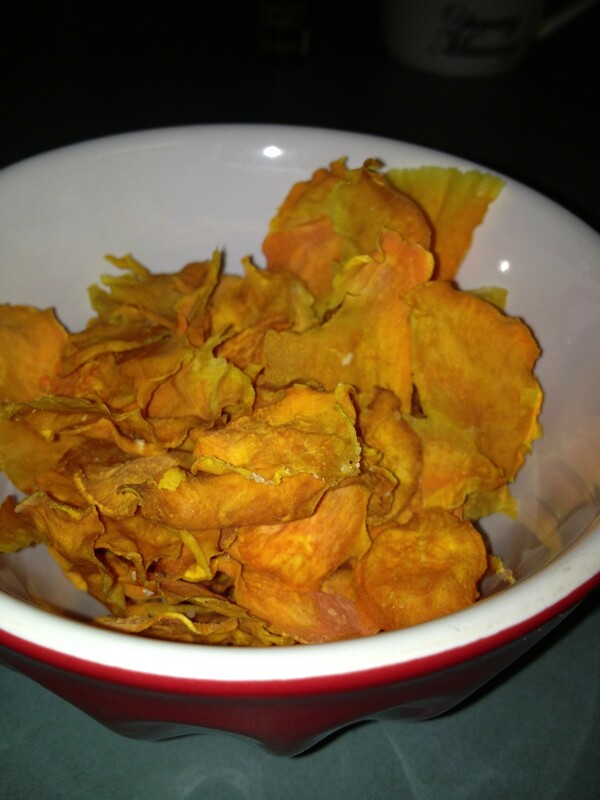 If I feel like something to munch on there is fruit salad, baked sweet potato crisps, vege sticks… so much yum! I really don’t feel like I’m missing out at all. The only thing I’m not doing is totally cutting out dairy. I have cut down on it dramatically, but still need milk in my cuppa tea. I’ll work on that one. All things considered, I really think this way of eating (and the mind-set that goes with it) can totally work for me.For the first time in a long time I am excited about my food, and looking forward to the future. So if anyone is even thinking about trying Paleo, I say give it a go. After all, what have you got to lose?? My youngest son (9) has been spending a lot of time with a few of his friends lately. They spend hours at the park, digging in the sand, making volcano’s (pinching my mop bucket to fill them with lava) getting covered in sand, and generally having fun. They also seem to make cubbies in the underneath of the big palms at the oval. I love this sort of outdoor fun, and try to encourage it whenever possible. So when they came and asked if they could sleep the night in their cubby I was torn. I want them to have the experience of sleeping outside, but sleeping on the oval..I don’t think so!! His friends were invited, the Mums were consulted…all systems go! So we pitched the little tent on the grass, and Jared waited (not so patiently) for them to turn up. They spent hours playing totem tennis, and played at the park (sand castles this time), before I called them in and dusted them off! Then it was make-your-own pizza for dinner…BIG HIT. Followed by a movie (so much talking I’m amazed they could hear it) then bed. Jared taught them all how to make Toad-in-a-hole for breakfast. Much laughter over egg cracking and bubbles (boys are weird). Now they are outside playing, laughing, and planning another park trip. They have already asked when they can do it all over again. I think the backyard camp-out was a MASSIVE success. I guess the things that make kids happy haven’t changed so very much from when I was young. I love just letting kids be kids. It makes me so happy to let them have fun, explore and grow in a natural way, while still making it ‘safe’. I’m feeling the stress lately. I feel like I am snowed under, with stress, with grief, but also with STUFF. So much stuff. My house is a decent size, there should be no reason for it to feel so cramped, but to me it does. Lately I find that I am unable to fully relax or wind down, because everywhere I look there seems to be more STUFF, and NONE of it is where it should be! I know it’s not really the clutter that is stressing me out, but surely getting rid of it will help. So I have a mission. I am going to organize, purge, corral, whatever it takes to get this crap under control. So I can breathe again..
First up is the kitchen. I’ve already starting to tackle the pantry and cupboards. They are still works-in-progress, but even that small amount has made a HUGE difference to how I feel. I can find stuff….WITHOUT HUNTING FOR IT!!!! This week has been hard for me, and will be harder still tomorrow. Wednesday was what would have been Mum’s 60th birthday, the first since she has gone. I’m not going to go into how hard that was, but I got through it. Tomorrow will be Mother’s Day. Another big first. So rather than dwell on what I have lost, I want to concentrate on what I have. On the things I am most grateful for. There are so many good and wonderful things in my life, so here’s my top 5. 1. My kids. I have been so very blessed. I have 3 amazing boys of my own. They drive me mental, fight like mad, but I am so proud of them, and the great people they are becoming. I am also lucky enough to have gained 2 wonderful daughters. They are such a source of pride for me. I love watching the women they are turning into, and feel so privileged to have been a part of that. 2. My husband. He infuriates me and drives me nuts, but I wouldn’t change it for the world. He is there for me, loves me, puts up with my rubbish, hugs me when I need it, jokes to cheer me up. He is my everything. 3. My country. How lucky am I to be able to live in this amazing place. To take peace and freedom for granted, and know my kids have limitless opportunities. Australia is such a great place to call home. 4. My extended family. I am lucky enough to have great relationships with my extended family. Aunties, Uncles, Cousins. I know I can call on them whenever I need help, and they will be there. They love me for who I am, and support me through everything I do. 5. My Mum. She was the most wonderful Mum. She was strong. She would do anything for her children, and God help anyone who hurt us. She was smart, and taught us the importance of working hard to obtain your dreams. She was fun, crazy, kind, brave, totally unique, and didn’t care what anyone thought. She was true to herself always. She was my role model and guiding light, and I am so grateful that I got to have 36 years with her. I am grateful to be so lucky in so many ways. I need to keep focusing on what is going right in my life. There is so much. I just found a video of my Mum on YouTube. It’s a very short, fairly boring little video about archaeology (her job, and her passion). I clicked play, just wanting to have a look. There she was, in her favorite top, wearing her beaten-up old hat. It hurt so much to see her, but I can deal with that. I’m getting used to the pain. Then she started to talk. Just normal stuff, archaeology stuff. At the first word I started to cry. Not pretty tears. Big, uncontrollable sobs. Tears and snot running down my face. My hands shaking, my whole body shaking. I couldn’t even see the screen, but I couldn’t stop watching. Her voice just went straight through to my soul, cutting huge chunks out of my heart on the way. It’s amazing how much the sound of a voice can hurt. Such an often heard voice, so loved. A voice I heard every day of my life. A voice I will never hear again. I keep watching that video over and over again. 1 minute and 25 seconds. That’s all. That’s all it took to rip my heart to pieces. I just wish I could hear her voice again. Hear her call me Titch, hear her say ‘I love you’. Hear her say anything at all. Have you ever noticed that life is made up of moments? Big moments. Small moments. Amazing moments. Then there are the tiny, everyday moments. The ones that are so ordinary they pass us by unnoticed. These ordinary, everyday moments are what make up our lives. These are what combine to make us who we are. They knit together the very fabric of our lives. Enjoy them. Savor them. Cherish them.